What is Up With Families? 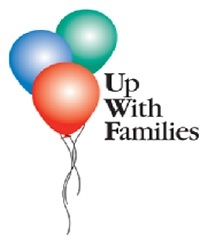 Up With Families (UWF) is an organization that serves families in eastern Iowa. Families that are eligible to participate live within the Mississippi Bend AEA 9 boundaries which is mainly Scott, Clinton, Muscatine and Jackson Counties. Families with a child with special needs know the joy a child brings, but they also know the challenges and unyielding responsibilities. UWF offers a weekend retreat that provides support, understanding and information, as well as relaxation and the opportunity to meet other families facing similar circumstances. The weekend is a rich and rewarding experience for children with special needs, their parents and siblings. Attned our trivia night on Friday, October 21st at the Knights of Columbus Hall in Davenport. Doors open at 6:00 p.m. and trivia starts at 7:00 p.m.